Further to my previous post of 28.04.2018 ‘Kleinschmidt’s Depot at Grey Street’, Frank Willoughby had also given me the above photo. 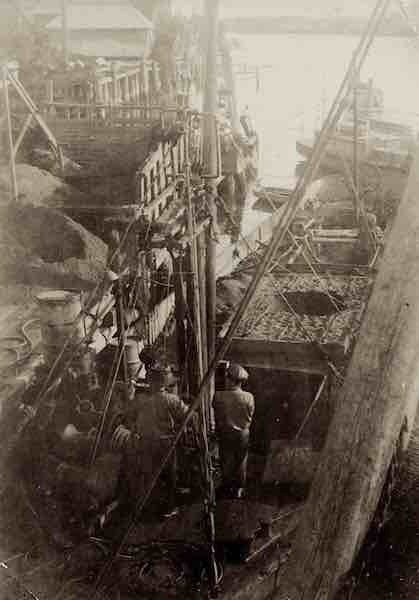 The Kleinschmidt’s vessels had long been transporting sand from Stradbroke Island for the Brisbane Glassworks at South Brisbane/West End. 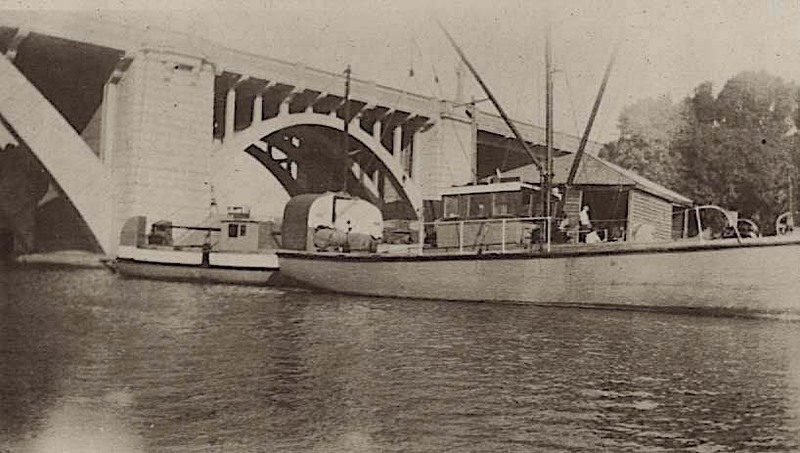 Eventually some of their boats such as the “Maid of Sker” and the “S’port” were converted to gravel barges working the Brisbane River. 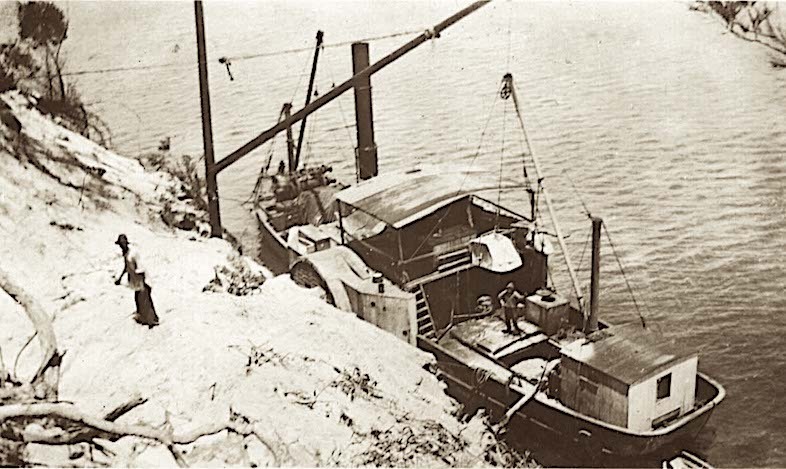 In the above photo, the “Maid of Sker” had sunk where the Merivale Street rail bridge is now situated. The vessels from left are: “Regina”, “26”, “Maid of Sker” (underwater), and a barge “Glen Iris”. 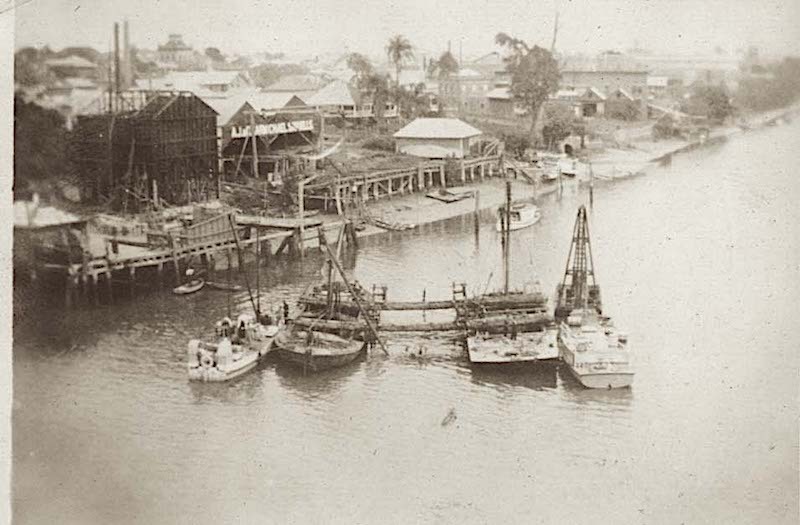 In the background (from left) are Carmichael’s sawmill, Foggitt Jones (meatworks), and QGM Glassworks.